Arrive in Sydney. You are met by our guide, transferred to your hotel and given a detailed briefing about the tour program and what to do in Sydney. The remainder of the day is at your own leisure. Your day starts with a drive to Mrs Macquaries Point with some interpretations. 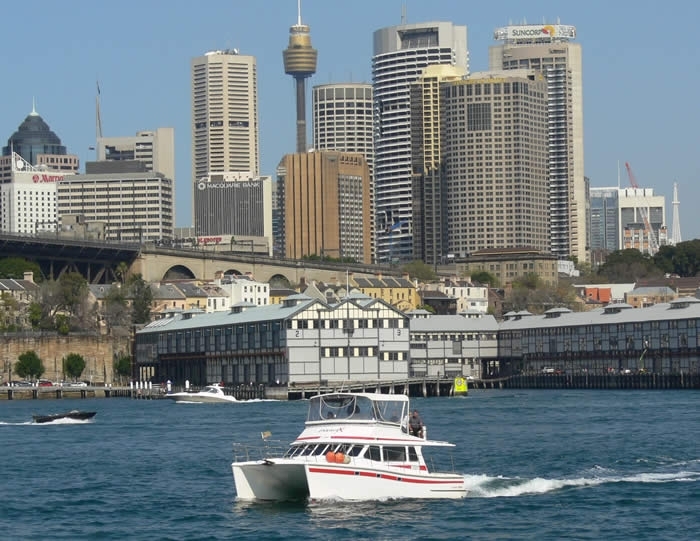 Continue the tour via colourful Kings Cross to cosmopolitan Double Bay and elegant Vaucluse. Enjoy a stroll over the cliffs at South Head. At world famous Bondi Beach take in the surf scene followed by a side trip to Paddington with its terrace houses. Then via China Town and bustling Darling Harbour arrive at Sydney’s birthplace “The Rocks”. Then transfer to the harbour marina. After boarding your private motor cruiser enjoy a luncheon buffet in tranquil Lane Cove River with stunning views. Then cruise Port Jackson from the Harbour Bridge and Opera House to North Harbour. At around 16:30 hrs we will drop you off at Darling Harbour (return hotel transfer not included). Head West out of the city and up to the sandstone plateau of the Blue Mountains, 1000 metres above sea level and UNESCO World Heritage Area. At Wentworth Falls walk to Princess Rock. At the famous “Three Sisters” sandstone formation a visit to the Waradah Aboriginal Centre will introduce you to the oldest culture in the world. After a visit to Govetts Leap enjoy lunch at the Imperial Hotel. Then travel across the mighty Hawkesbury River. In historic Windsor a brief stroll through colonial streets. 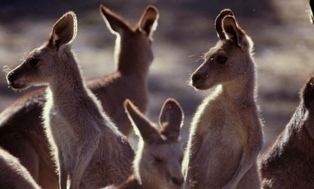 Then drive across the northern suburbs to the Koala Sanctuary and back Sydney. Pick-up and transfer to the airport. After a 3 hrs flight arrive at Alice Springs in the Red Centre of Australia. Your driver-guide greets you at the airport and transfers you to your hotel. The remainder of the day is at your own leisure, we are recommending a visit to the Royal Flying Doctor Service (optional). 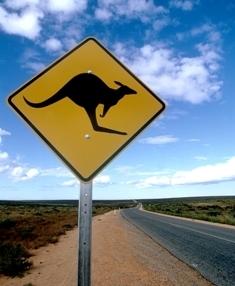 Your program starts with a sightseeing tour of Alice Springs including a stopover at the ANZAC Hill lookout. Then drive out to historic Telegraph Station to visit the birthplace of „The Alice“. Leave the town and drive to Simpsons Gap for a walk. After a side trip to Ellery Creek Big Hole undertake a hike at Ormiston Gorge, bevore arriving at your Wilderness Lodge on the bank of the Finke River. After breakfast continue your tour on the dusty Mereenie Road across a colourful semi desert to Watarrka National Park. With luck observe feral camels along the way and take in the vast arid landscape. In the afternoon enjoy the 2-3 hrs walk up and across the Kings Canyon plateau, from the sandstone domes of the „Lost City“ to the oasis of the “Garden of Eden”. Over red sand dunes and past salt lakes drive to Uluru National Park. 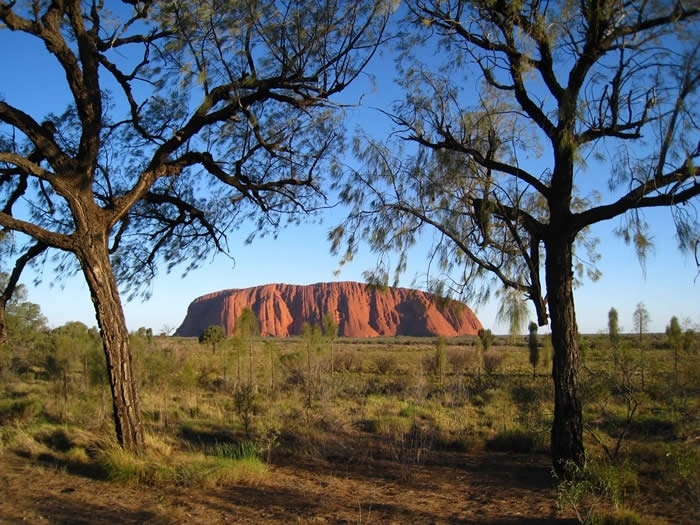 After checking in at Ayers Rock Resort travel to Kata-Tjuta (Olgas). Take in the “Valley of Winds” on a 1-2 hr walk to the lookout. Continue the tour to Uluru and enjoy the highly anticipated sunset with a traditional glass of sparkling wine. Early departure for your colourful sunrise at Uluru. After a drive around the monolith visit the award-winning Cultural Centre. Then a relaxing walk to water holes and caves with Aboriginal rock paintings before returning to Yulara village for breakfast. Around midday your driver drops you off at the airport. After a 3-hr flight touch down in Cairns. Your next driver welcomes and transfer you to your accommodation in Palm Cove. In the morning transfer to the Skyrail Station. Take in the panoramic coastal view while gliding in the cable car over the treetops up to tranquil Kuranda, where our guide will meet you again. From the skyrail and railway station take a leisurely walk across the village to the market place. The visit to the Pamagirri Aboriginal Centre including didgeridoo music, spear throwing and dreamtime dances is a highlight in our program. Later in the day return to Cairns by minibus. Today you will go on an excursion without your tour guide. 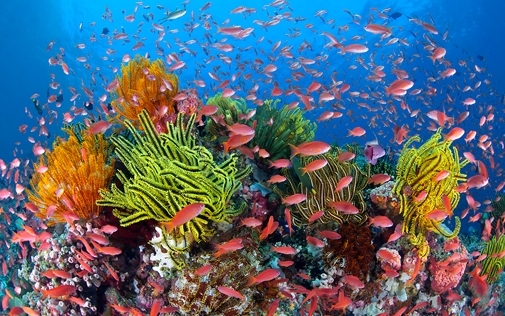 Board a fast catamaran for a day tour to the Great Barrier Reef. A delicious luncheon buffet, snorkel gear, semi-submersible boat and transfers are included. Note: This is an english-speaking day tour without guide! Today you have the opportunity to discover the city of Cairns on your own. The transfer bus will pick you up from the hotel at 10.00 hrs and sets you down at the Esplanade in Cairns. Visit the markets, the Marlin Marina or do some shopping. At 17.00 hrs our bus will pick you up for the return transfer. Depart to the Great Dividing Ranges. Near Mareeba you have the opportunity to observe waterbirds at Lake Mitchell. Continue across the former Palmer River Gold Fields to Split Rock in Quinkan Country, to view the approx 20,000 years old Aboriginal rock paintings and stencils. In the afternoon arrive at your rainforest lodge. Relax, or alternatively walk up Mungumby Creek before dinner. After breakfast drive past Black Mountain to Cooktown, where Captain Cook in 1770 hoisted the Union Jack and claimed the continent for England. The view from Grassy Hill over the Endeavour River and the Coral Sea is breathtaking. A short drive brings you to picturesque Quarantine Beach. In the afternoon visit the interesting James Cook Museum, a former convent school. After a stroll along the foreshore and a refreshing stop in the famous „Lions Den Pub“ in Helensvale, return to the lodge. Today depart your wilderness oasis and travel on the dusty Bloomfield Track, with the Barrier Reef just offshore. Cross the Bloomfield River Bridge and take in the tree giants and mangroves near Cape Tribulation. After crossing the mighty Daintree River enjoy the river cruise for an encounter with saltwater crocodiles. Then travel down the Coral Coast and via Port Douglas to Palm Cove. Your tour program ends after breakfast. As advised our driver picks you up for your airport transfer. Farewell and return flight to your home port. Inclusions: Transport in mini coaches and off-road vehicles; local driver-guides; 14 nights/twin share accommodation in 3* hotels/lodges (or 5* upgrade) and 3 nights in scenic lodges with ensuite); 22 meals; admissions, activities/boat cruises according; national park fees. Important Information: Should participants arrive in Sydney at an earlier day (highly recommended), they will be met accordingly; if they extend their holidays at the end of the program, they will be transferred to the airport on a later day! Please note: We do recommend to arrive a day or two earlier to fully appreciate your time in Sydney. This combined package tour is operated with changing local driver guides. Length and grade of walks adjusted according to fitness levels - where possible! We reserve the right to alter the tour itinerary should roads be flooded or closed In that case we do our best to offer alternative accommodation with a similar standard.